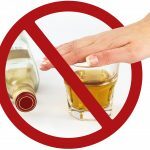 Stress is not good for your liver! Consider these five stress reduction approaches for your liver’s health. 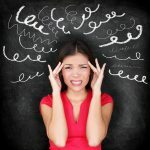 Most people recognize that being stressed out negatively affects their health. High stress levels can make you more susceptible to catching a cold, it can bring on a headache, cause indigestion and raise blood pressure. However, many do not realize that stress also negatively impacts the liver. This appears to be particularly problematic when someone already has a chronic liver ailment. In order to protect your liver from the negative effects of stress, consider these five stress-reduction strategies. Fatty liver – Cortisol is considered to be the primary stress hormone, and it has been found to increase fatty liver risk. A study published in Clinical Endocrinology found those with non-alcoholic fatty liver disease had an overproduction of cortisol – the physiological mechanism behind the deposition of fat in the liver. Researchers surmise that if high cortisol levels can contribute to fatty liver, lowering cortisol (which means lowering stress) can diminish fatty liver. Liver disease progression – Stress is a known factor in flaring up chronic liver disease symptoms – especially fatigue. Stress can reduce blood flow through the liver and lead to liver enzyme level elevation. During stress, natural killer cells are activated in the liver, which can contribute to liver cell death and worsening of liver disease. In addition, the cortisol released into the blood when stressed can exacerbate liver injury. Telling someone to relax is a well-meaning sentiment, but rarely yields results. There is no doubt that stress can be harmful to the liver. As such, it is extremely valuable to find a way to relieve stress that works best for you. Breathe – For most people, breathing is automatic – rarely requiring any thought. However, taking a few minutes to focus on taking some deep breaths can be a great stress reliever. Breathing deeply can dramatically increase the amount of oxygen in your blood, slow a rapid heart rate, and lower blood pressure. Sit up straight, close your eyes, allow your shoulders to drop far away from your ears and place a hand on your low belly. Slowly inhale through your nose, filling your chest, lungs, belly and low belly with air. Once totally full, exhale slowly – pushing the air out of your mouth. Repeat for a total of three deep breaths. Laugh – Laughter provides a full-scale workout for your muscles and unleashes a rush of stress-busting endorphins. Since our bodies cannot distinguish between real and fake laughter, anything that makes you giggle will have a positive impact. You do not need to be happy or have a sense of humor to benefit from a good laugh. Spend time with friends who make you giggle, or choose to watch some type of comedy show that leaves you clutching your sides from laughter to reduce stress levels. Move – You don’t have to be a runner to get a “runner’s high.” Exercise is a proven method of preventing and relieving stress. According to a 2012 study published in the Journal of Medicine and Science in Sports and Exercise, moderate physical activity helped people manage stress and anxiety – and the health benefits lasted even after the workout ended. All forms of exercise help move congested energy and encourage the brain to release stress-busting endorphins. Treat Yourself – Many people under stress turn to buying themselves a treat for a mood boost. When treating yourself is done in moderation and within your means, small treats can be great mood-lifters that don’t bring lasting debt. Positive psychologists recommend the use of ‘pleasures’ in life, and a small ‘retail therapy’ investment can indulge the part of you that yearns for something new. For those looking for an affordable, yet personal piece of jewelry, Pendant Persona could represent a stress-relieving way to treat yourself. Media Blackout – The media blitz we experience on a daily basis is stressful. Studies indicate that today’s consumption of media (TV, social media and smart phone exposure) increase stress. One report found that the more people use Facebook, the more their happiness declined. Experts advise periodically turning off all digital devices and screens (media detox) to lower stress. By experimenting with the five stress-relieving suggestions above, you may be able to lower your cortisol levels and increase your endorphins naturally. 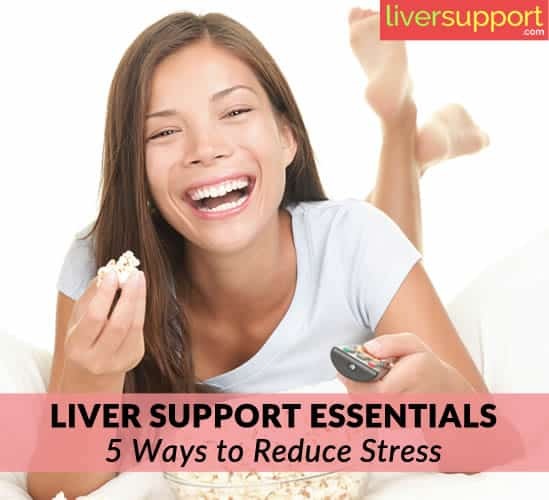 Make stress relief your priority – for many reasons – including protecting and supporting your liver. Editor’s Note: Besides aiding liver health, curcumin appears to impact emotional well-being. Researchers have determined that curcumin enhances brain chemicals such as noradrenalin and serotonin, and increases the production of dopamine. These normal chemicals in our body are known mood elevators. Standardized to contain 95 percent curcumin, Learn how turmeric eases stress. Turmeric 95 is combined with Bioperine gives you 20x the absorption than standard turmeric supplements. Learn more about Turmeric 95. “Does Stress Exacerbate Liver Disease?,” Yoichi Chida, Nobuyuki Sudo and Chiharu Kubo. Journal of Gastroenterology and Hepatology, 20 (2006) 202- 208.
http://hcvadvocate.org/hepatitis/factsheets_pdf/stress_liver.pdf, Stress and the Liver, Alan Franciscus, Retrieved February 27, 2017, Hepatitis C Support Project, 2017.
http://www.belmarrahealth.com/depression-and-stress-levels-increase-risk-of-liver-disease-hepatitis/, Depression and stress levels increase risk of liver disease, hepatitis, Mohan Garikiparithi, Retrieved February 27, 2017, BelMarra Health, 2017.
http://www.clevelandclinicwellness.com/mind/stressless/Pages/Pamper-Yourself.aspx, Pamper Yourself!, Retrieved February 28, 2017, Cleveland Clinic, 2017.
http://www.everydayhealth.com/news/easy-proven-ways-to-relieve-stress/, 4 Easy, Proven Ways to Relieve Stress, Nancie George, Retrieved February 27, 2017, Everyday Health Media, LLC, 2017.
http://www.huffingtonpost.com/2015/02/19/violent-media-anxiety_n_6671732.html, What Constant Exposure To Negative News Is Doing To Our Mental Health, Carolyn Gregoire, Retrieved February 28, 2017, TheHuffingtonPost.com, Inc, 2017.
https://www.skillsyouneed.com/ps/therapeutic-laughter.html, Laughter Therapy As Stress Relief, Retrieved February 28, 2017, SkillsYouNeed.com, 2017.